To celebrate the company’s 25th Silver Anniversary, Wilson Benesch introduced the Circle 25 Turntable and A.C.T. 25 Tonearm to one of its longest established product lines; The Analogue Collection. The new Circle 25 Turntable references the classic Circle Turntable. Fifteen years on from the launch of the original Circle Turntable, Wilson Benesch has reworked many of the critical elements, vastly improving the design and breathing new life into a classic. Since the company’s inception in 1989, Wilson Benesch has maintained an unwavering commitment to the development of analogue replay systems. 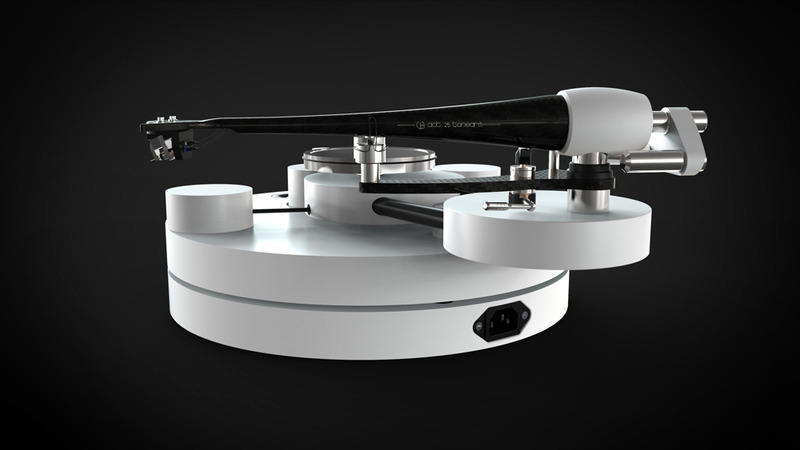 Central to our design ethos from the outset has been the concept that synergy must exist between tonearm and turntable design and that they should in fact be regarded as one system. Many reading this will appreciate the crucial importance of finding synergy in audio components and many will also appreciate that combining some of the best components, for example amplifiers and loudspeakers, does not guarantee an excellent HiFi system. It follows that components conceived and designed as one synergistic system is the optimum process through which harmony and true excellence can be achieved. It doesn’t matter if you keep playing your favorite LPs time and again or love to discover unknown records, if you are all alone or celebrate your music in an intimate circle – the Decade impresses in every situation with a harmonic performance of passionate temper and precise contours. For this is why we created it: for you and your very personal music fireworks. …was built out of customers’ inquiries. 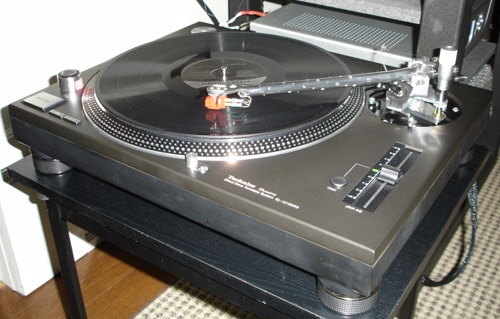 Most peoples’ association of a turntable is a wooden box, platter and tonearm – that’s it. And here we go: Have a look at our interpretation of such a design. …was not simple. From the scratch it was obvious that our MARC design will not adapt to a “conventional” chassis in an easy way. So we were looking for new ways to design as close to the bigger models as possible and get similar results. After a lot of refinement we are proud to present the final product. …is comparable to what you already know from our bigger models – timeless elegance paired with best measurements. Using our well-proven bearing design, platter and high torque motor, we achieved the same virtues of Twin and Triple. The motor electronics was adapted to match the design in a perfect way. 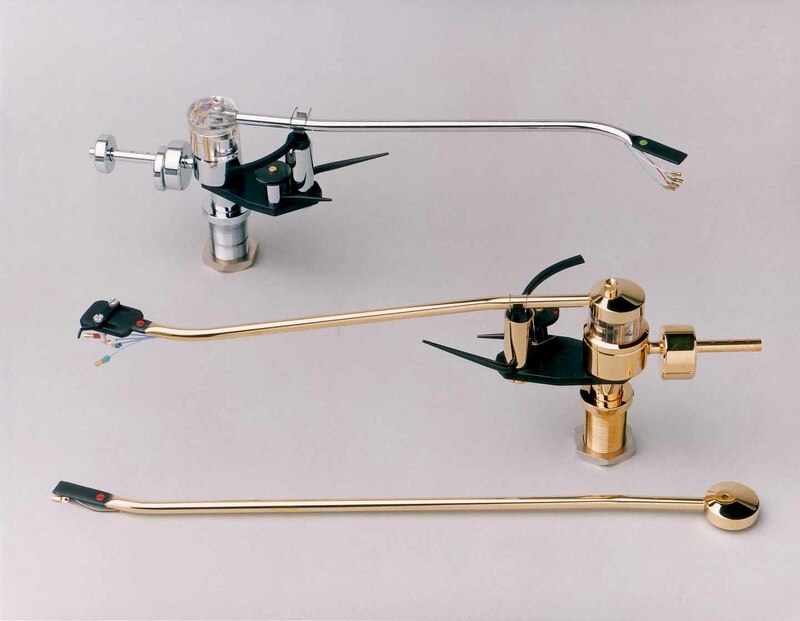 …will leave you stunning – no matter which tonearm you are planning to use (the sliding-base allows you to mount nearly all available tonearms from 9 up to 12 inches). Relax, listen to pure music and forget about the technology behind. MKoM is very proud to feature Einstein’s “The Turntable’s Choice” Moving Coil Phono Pre Amplifier. 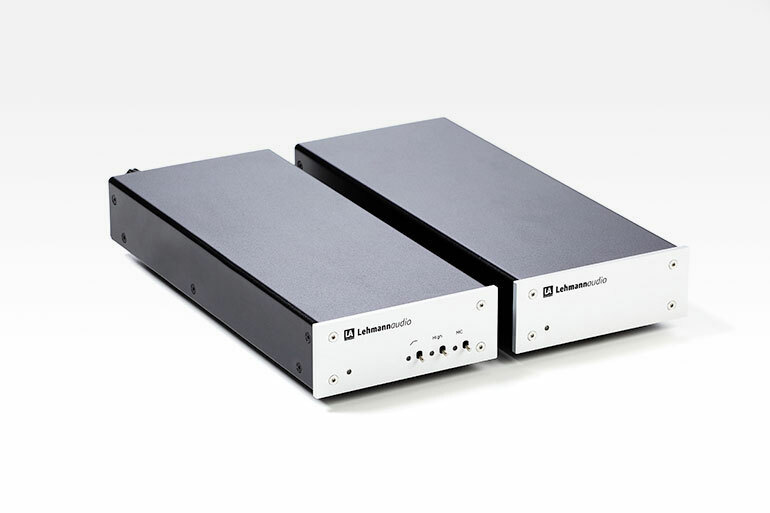 We elected to showcase the Balance version which includes four chassis – Two phono stages & two power supplies. As analogue fans with large LP collections, the development of this phono stage was an assignment close to our hearts. Because we prefer MC cartridges, the design team at Einstein set out to develop the ultimate moving-coil preamplifier. ‘The Turntable’s Choice’ inspires with its dynamic agility, precisely tracking bass lines and a vocal range that is filled with emotive tone, body and a powerful projective force, all perfectly balanced by a harmoniously effulgent treble. “The Turntable’s Choice combined impressive detail, crystalline transparency, limitless dynamics, mouthwatering delicacy, effortless transient speed, and deep, controlled, supple bass, all combining to produce what was among the most mesmerizing analog playbacks I’ve yet heard”. 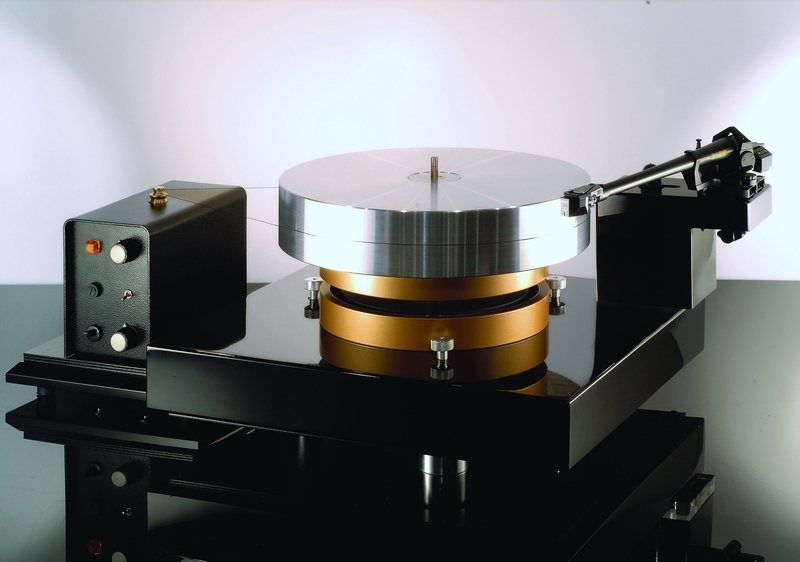 In France, another turntable has achieved legendary status and has proved to be a lasting and exceptional achievement – La Platine Verdier. Throughout Europe it became an essential element in the legendary demonstrations at La Maison de L’Audiophile. 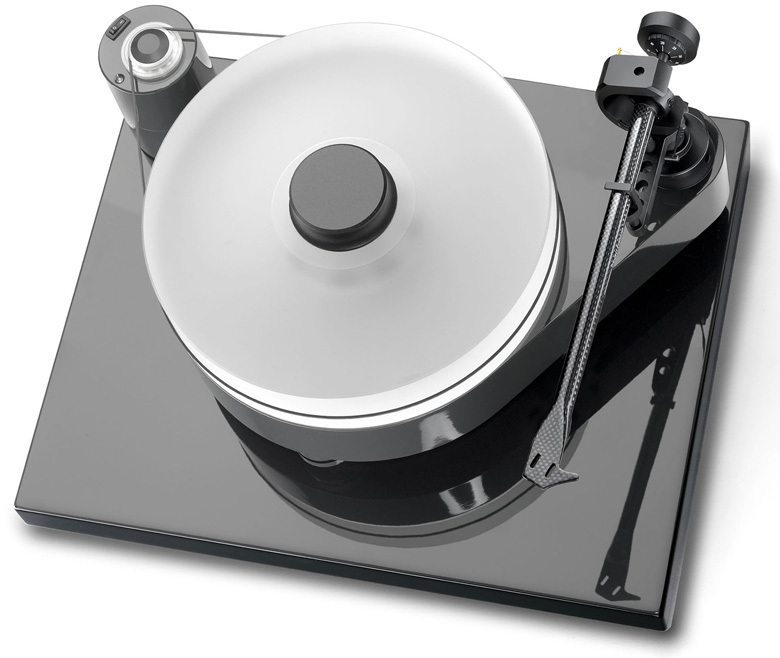 La Platine Verdier – the French word “platine” (pronounced pla-teen, with the accent on the last syllable) means turntable; it was conceived by Jean Constant Verdier, so the name means the Verdier turntable – was first presented to the public in 1979. The Platine Verdier’s success story is written by its proud owners and daily users. We are happy to have contributed to that story; that a product is still going strong after more than 25 years in a fast-changing market is testament to its stature and value. Available through My Kind of Music. This latest generation incorporates our latest DSP signal-generating power supply, totally removing the vagaries of the mains power signal and allowing precise calibration of motor speed. Introduction of the new twin belt drive system and revised bearing has improved platter dynamics, yet further improving the sound quality. External vibrations are dissipated by the unique AVID variable frequency suspension system, effectively isolating the entire system from extraneous influence yet without the softening of dynamic response often allied to such systems. 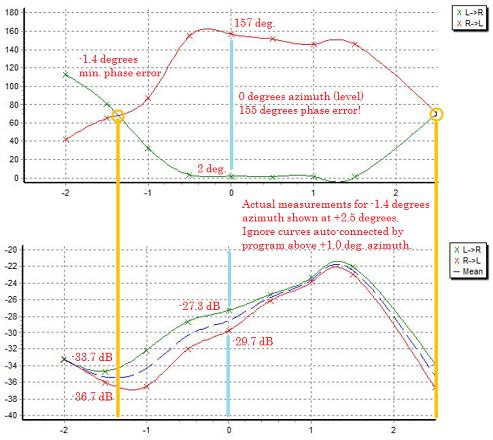 Suspension dynamics are further improved in this latest version using revised lateral damping isolation bands and lastly but by no means least, a massive platter. Origin Live aims to enrich your musical enjoyment through offering the highest grade products to a standard that outperforms your expectations. The new generation of turntables from Origin Live are the result of continuous development that have pushed back the boundaries on sound quality by significant leaps and bounds. We believe, as do many experts that vinyl records still represent the ultimate format for sound quality and will continue to do so for many years in spite of all the new “super” formats. The ultimate format deserves the ultimate player and this is what we have dedicated ourselves to achieve at very modest sums. Not only is vinyl the best format available but you may have a decent collection of priceless records that you wish to appreciate to their full. These are a few of the reasons for the enormous investment that has been made in producing these decks. We trust that you will be surprised in the best possible way once you hear them. 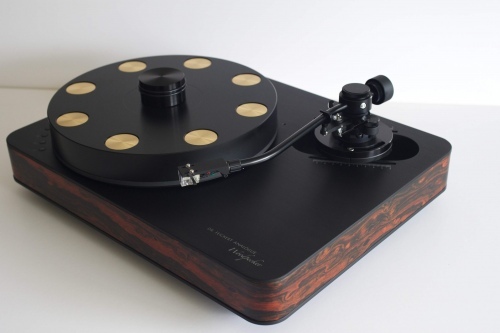 Nottingham Analogue’s recently developed Dais is the ultimate turntable upgrade. The Dais, pictured below, is Nottingham’s elite performance table, offerings ultra-high-end performance approaching the Anna Log but in a less elaborate more affordable package. Dais – a raised platform for the conductor of an orchestra. Nottingham Analogue had a very successful turntable of this same name which they stopped making in 1978. There are still many happy Dais owners enjoying their music on these machines. The new Dais replaces the Mentor turntable. After 19 years the Mentor was dropped because its old chassis could not incorporate Nottingham’s new thoughts on music extraction. Nottingham Analogue has always been concerned with what people stand their turntables on, especially glass and spikes, so the base board for the new Dais consists of a relatively thin platform base under which there is a 90% covering of damping material. When this damping material is put onto the chosen surface there is more of a ‘marriage’ between the turntable and surface. 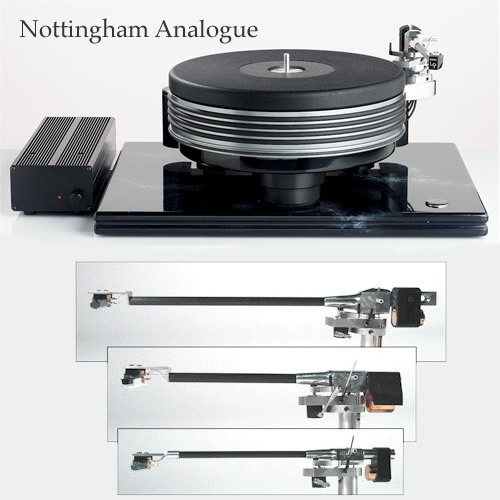 Many ideas have spun off from the Anna Log, Nottingham’s top turntable until the recent debut of the Decco, – the back parallel arm mounting structure controls much of the resonance without taking the mass, relying on 80% of the mass resonance to be transferred to one adjustable front leg. The motor is conveniently out of sight in the preferred position at the back. A very similar male/female bearing arrangement is used from the Anna development – a unique levelling device is also fitted to the bearing, which is factory set but can be altered by the owner if necessary. The massive 20kg of gravity spun iron platter, with one of the highest inertia of any turntable on the market today, gives solidity and a picture of a performance with remarkable diction. Sitting on top of this platter is a 25mm thick graphite ‘mat’, along with the anti-expansion bands this adds the final damping to the platter. The Wave Mechanic power supply works extremely well and doesn’t rob us of dynamic range, and achieving this is no easy feat! The power supply is total – that is mains power goes in but completely regenerated power and frequency comes out to the turntable. The Dais can accommodate two arms, and is very easy to set up and level. All Nottingham arms are a unipivot design. Unipivots are usually designed with the pivot sitting in a silicone bath. The problem with this design is that the silicone bath takes quite a while to settle down and so the arm will change in sound as it plays the record. Many unipivots also use the offset stabilizer weights or eccentric counter weights to insure proper azimuth. Nottingham has cleverly solved this common problem. Nottingham arms use side stabilizer bars and tiny ball bearing chases to maintain azimuth. Nottingham has also developed a proprietary damping material the viscosity of which is such that it does not flow and does not require ‘settling time’. This material is applied to the centre pivot and the stabilizer bars. Nottingham uses carbon fibre tubes with the fibres oriented the length of the tonearm not wrapped around it. This greatly increases the strength, resonance control and rigidity of the arm. Nottingham also uses an unusual headshell design. 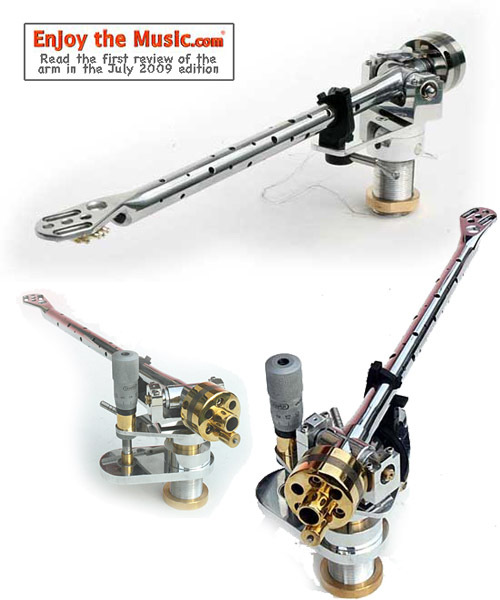 The headshell has an orientation that is in direct line with the tonearm and not offset in any way. The headshell also has no finger lift. These two features insure that the arm is properly balanced from side to side and that no uncontrolled resonances are running around the headshell. The Interspace arm has many of the performance features of the more expensive arms, specifically; long grain carbon fibre, unipivot design and in line headshell. 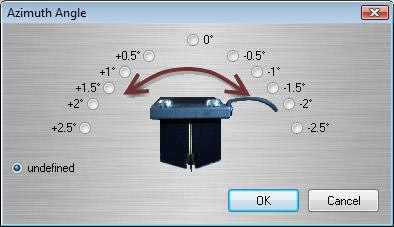 The ACE Space arm has the same basic performance features as above. This arm uses the same long grain carbon fibre tube but also uses a second tube as a liner. This helps dramatically with both rigidity and resonance control. The ACE Space also uses a threaded allen screw to make the selection and adjustment of VAT a simple step. The Space 294 arm is basically the same as the ACE Space but in a twelve inch length. The added length reduces the tracking error. This arm was designed specifically for the Space 294 table. The two Anna arms (12″ or 10″) were upgraded based on the success of the ACE Space arm. The Anna arms are Nottingham’s current statement, combining all the damping and strengthening techniques they know to give an illusion of music that is totally non-fatiguing. The Wave Mechanic external power supply, pictured to the left of the Dias at the bottom of the ‘Introducing Nottingham’ page, was made especially for Nottingham Analogue and comes standard with the Dias and Anna Log tables. This power supply improves sonic performance by eliminating all kinds of electrical problems which can plague your hi-fi. 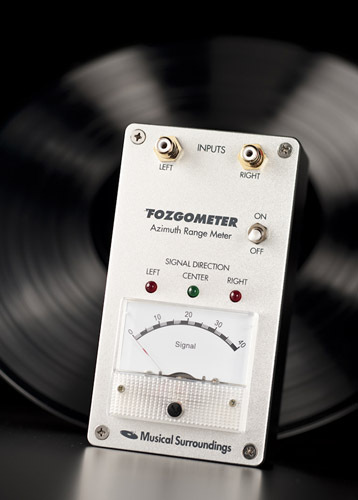 The Wave Mechanic can be purchased separately as an upgrade for any Nottingham turntable and will provide a clean waveform with stable voltage and frequency. The audible benefits of the power supply are very clear. Detail, dynamics and sound stage are all much improved, but perhaps the most evident feature is the way that the whole pace and rhythm of the music sounds natural and true. Pitch stability is impeccable, giving complete confidence and much deeper involvement in the musical performance. These benefits should not be expected to replace those from upgrading the turntable, but rather to complement them. All of the Nottingham Analogue turntables will benefit, whether your current one or your next one. 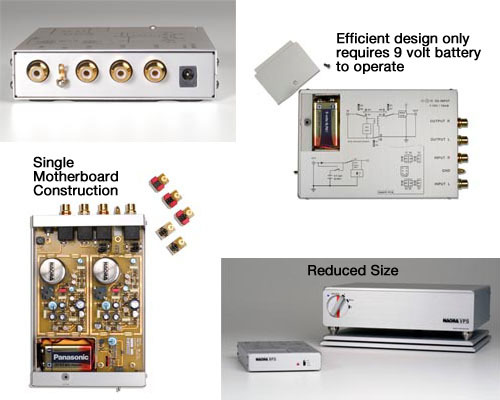 Nottingham Analogue is a well respected British manufacturer of high quality, specialty audio products. For over 35 years Nottingham engineers have been producing innovative designs which excel at allowing the music to come through in its purest form. Their turntables are known for precision and purity, ultra quiet noise floor, supreme musicality, quality build and remarkable value. “All our products sound the same, the only difference is there is less and less fatigue and you get a little bit closer to the illusion of real live music the higher you go up our product ladder.” – Tom Fletcher, engineer/owner, Nottingham Analogue Studios. This highly innovative design has all the above mentioned improvements but the ‘294’ also has a 14″ platter giving much more rotational stability due to the additional inertia. The turntable is specifically for 12″ (294mm) tonearms only and cannot be fitted with a second tonearm. Twelve inch tonearms are nothing new for Nottingham Analogue, the longer arm results in a smaller tracking error, and Nottingham has cleverly eliminated the pitfalls of common 12″ tonearms. The new Space 294 will get you closer to the illusion of real music than you ever thought possible at a price that will send you record shopping with a smile on your face. No longer in production – Very limited quantities. We’re not afraid to boast this, but we believe the Living Voices Mystic Record Mat will redefine the art (and science) of listening to your cherished vinyl…forever! Here’s a deceptively simple turntable mat that embraces the analog-loving listener with a smooth, rich sound complete with impressive subtleties and detailing that competing mats can’t touch! Imagine improvements in frequency extension and low-level resolution without tonal imbalances, increased dynamic range that’s rich and unrestrained, bass that’s really there when it needs to be there, and three-dimensionality that’s so close to being dead-on…need we say more! IT’S THAT GOOD! 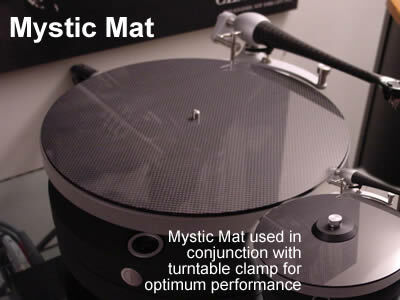 When we auditioned this remarkable product we were pleased to see that the Mystic Mat exhibited every bit of the manufacturer’s claims (as well as Michael Fremer’s assessment in his August ‘Analog Corner’ column), but what we didn’t expect an even more exciting improvement when we used the clamp with the mat! Smoother bass, cleaner highs, and an even more spacious background! You’ll have to experience the results with or without the clamp, but either way you won’t be disappointed! 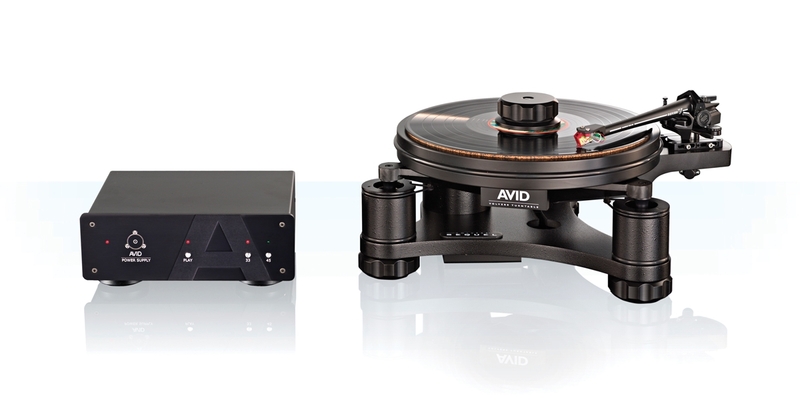 Its sturdy and well-built design mean this product is going to be part of your turntable for many years to come. The Mystic Mat is composed of a layer of gel-coated resonance-controlling carbon fiber mated to a layer of CF polyurethane and followed by another sheet of carbon fiber. It’s thin (4mm) profile makes it a perfect candidate for any ‘table needing immediate musical improvements from conventional felt or rubber record mats. It fits snugly on your turntable’s spindle and lies nice and flat on the platter with the smooth side down. Simply place your LP on top of the contoured surface, place the needle on the grooves and get ready for a dose of musical reality! What an exciting time it is for analog playback! At a time when people thought it would be long-since dead, LP playback, like the legendary Phoenix, rises far above the digital domain. This is truly its golden age. LP playback technology has never been more vital. One might be grateful that digital playback has improved drastically since the time it was pronounced “perfect music, forever…” In fact, it was dreadful. Now, it almost sounds like music and is beginning to approach the realm where analog playback was back then. A huge improvement. However, in that same space of time, analog playback of the LP has seen far more drastic and rapid improvements. Thanks to dedicated, passionate and innovative designers, like Seiji Yoshioka of Immutable Music, producers of the Transfiguration cartridges, and Armando Conti of Basis Audio, LP playback has achieved heights never imagined back in the days that bit-counters and bean-counters were pronouncing it dead. What’s remarkable about the Nagra BPS phono stage is not its small size, although that’s certainly attention-grabbing. instead, it’s the circuitry and well-considered features that are squeezed into this hand-sized chassis that make the BPS noteworthy. The BPS uses essentially the same circuit as Nagra’s VPS phono stage, but it omits the VPS’s tubes. Like the VPS, it uses custom Nagra step-up transformers to derive its gain — 45 to 60dB, making it suitable for use with moving-coil cartridges. It runs on a nine-volt battery, although wall power is also an option. 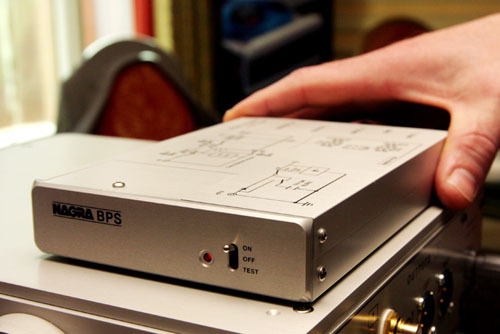 The reduced size of the Nagra BPS phono preamplifier is the result of using completely solid-state technology, less costly to implement than Nagra’s valve phonostage version. The BPS electronics consumes so little power that it operates for approximately 100 hours on a single 9-volt battery. 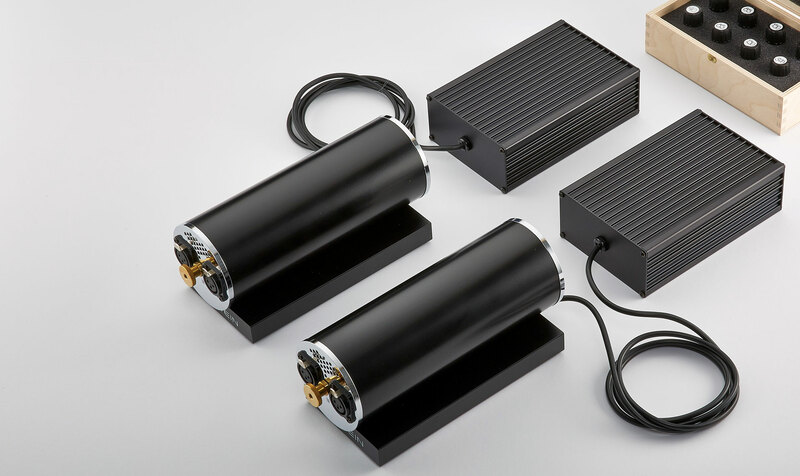 Due to using a battery power supply, there is no need for a costly external power supply that is complex to manufacture. The Nagra BPS enjoys an attractive positioning thanks to a simplified approach as regards functions. Nagra however retained the popular load adaptation found on the VPS model, which uses small plug-in modules to attain the desired matching between the phono preamplifier and the specific cartridge. Nagra’s BPS supports either moving-coils (MC) or moving-magnet cartridges (MM) by means of appropriate switching. Assembled on a single motherboard, the electronics use exclusively discrete and military-type components (JAN standard). The amplification is provided by selected and matched bipolar transistors. The capacitors on the signal path are of audiophile quality and the precision resistors are MELF (Metal Electrode Leadless Face). 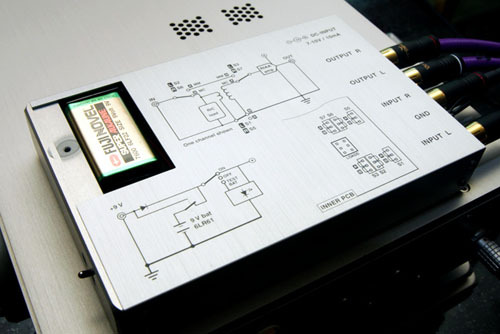 The MC input transformers are designed and wound by Nagra. 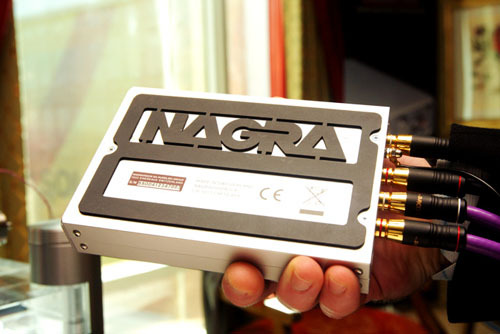 All components are housed within a Nagra style brushed aluminum case. The Wilson Benesch cartridge range is distinctly different from all other cartridges in the world. 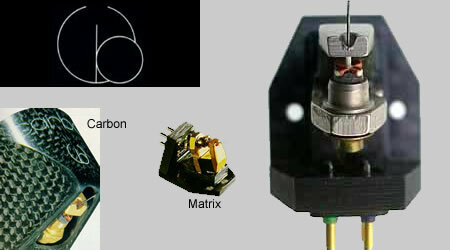 Whilst conventional materials technology can be seen as the norm, in the Wilson Benesch range the principle structures are all manufactured from solid carbon fibre. 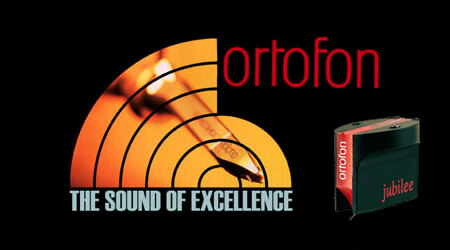 Ortofon was founded in 1918 by two Danish engineers, Axel Petersen and Arnold Poulsen. These two pioneers had one very clear objective in mind – to put sound onto film, and with this, they established the Electrical Fonofilms Company A/S, which later on was renamed Ortofon A/S. A few years later, in the Palace Theatre, Copenhagen, they were able to present the first fully-synchronized sound films and in so doing, created a world sensation. 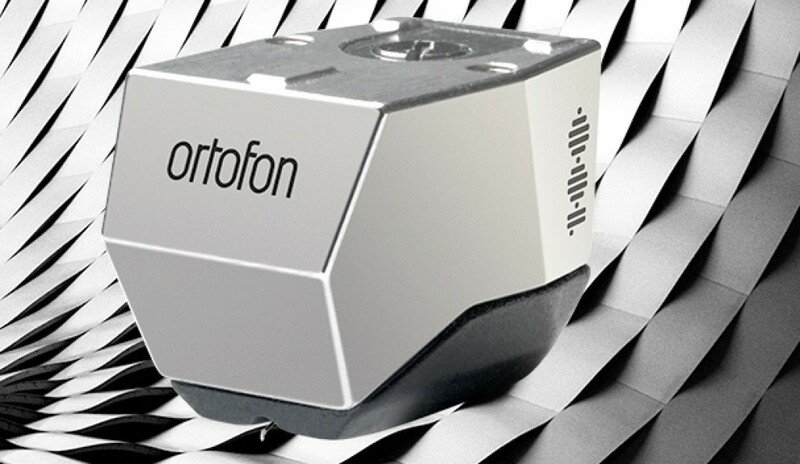 Ortofon was also the first company to produce an outdoor sound film recording. The founders took out several patents and issued licences to film companies the world over for their “System Petersen og Poulsen”, which is even to this day the basis for film with optical sound. Until the second world war, Ortofon’s growth was based entirely on the sound film. However, during the war and immediately afterwards, production was re-organized to include record cutting and reproducing equipment. 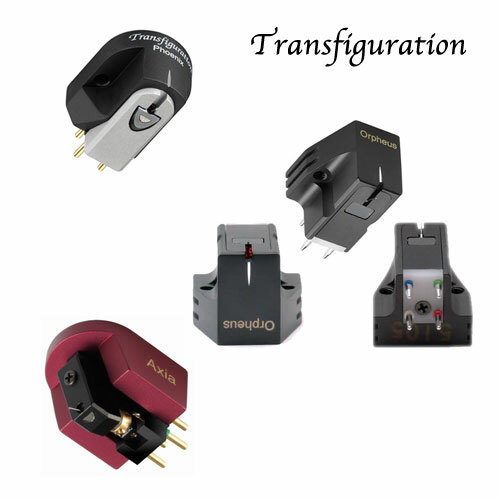 The first Moving Coil cutterhead was produced as early as 1945, and the Moving Coil principle was then further developed to enable production of, first, mono cartridges and, later, also stereo cartridges. During this busy period of growth, equipment was also being developed for broadcasting networks and recording studios. It was not until later that the Company decided to specialize solely in the development and production of cartridges. Unique experience at both ends of the recording sequence results in unsurpassed performence from every Ortofon cartridge. 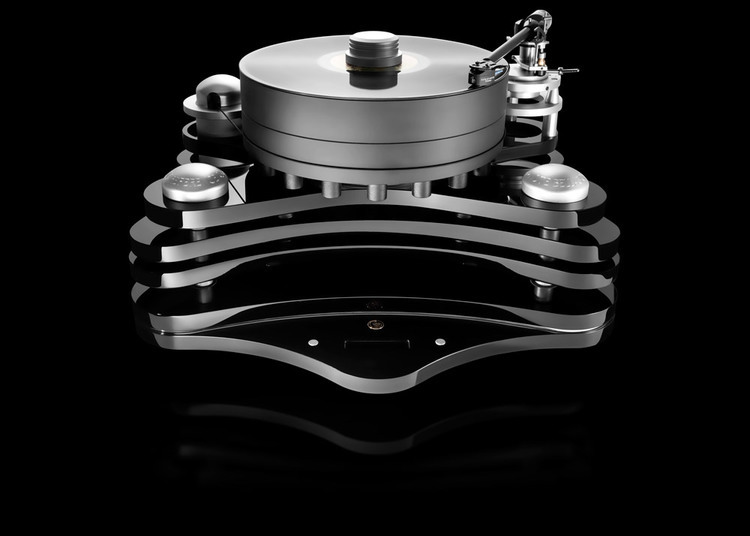 Goldnote Turntables, formerly known as Bluenote, are manufactured in Florence Italy of the very finest materials including machine worked aluminium, brass,bronze, stainless steel, all to improve sonic performances. Their design results in the maximum dampening of vibration and rumble. When Goldnote tonearms and cartridges are used, the result is a perfectly matched system. Total rebuilds of the Rega tonearm. Hand made to order featuring ceramic bearings and custom silver wiring. Built on an arm yoke and base machined from solid, these arms are the ultimate development of the Rega armtube casting. MKOM is unique in providing this service in the Greater Toronto area. As a dealer committed to the best possible analog performance at almost any budget level, we have the tools and the knowledge to apply them for your benefit and long term listening enjoyment. 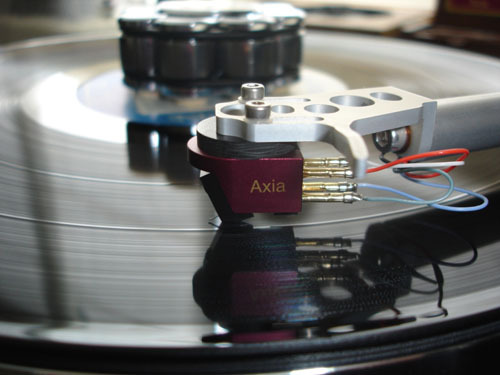 Whether you purchase a phono cartridge, tonearm, turntable, or some combination of the above and perhaps other components, MKOM provides its exclusive setup and alignment service free of charge as part of providing real value for your investment. 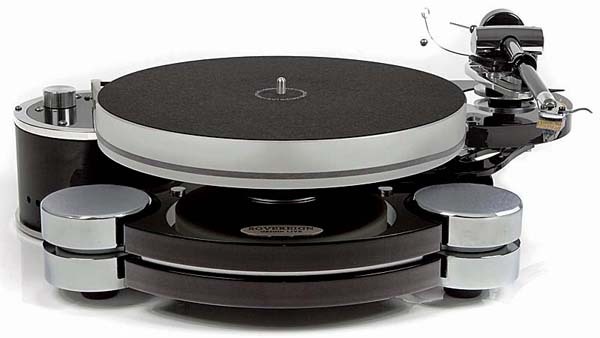 For turntable systems not purchased from us, we offer the same service at the reasonable cost of $125.00 within the GTA. Additional charge of $25.00 may be applicable for areas outside of the GTA. 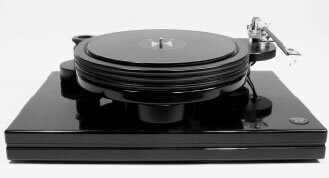 The $125.00 fee may be applied toward future analog purchases including turntables, tonearms, and cartridges, and such purchases include the setup and alignment service. Thus it’s a win-win every customer should take advantage of. “The engineering involved in the Oracle is as unique as its styling and the constructional standards are in the Mercedes class – the best !” – Hi Fi Answers, England. The Delphi is a remarkably handsome work of art. Clearly a refinement over its predecessors, the new Mk VI is engineered to a level that the industry is invited to emulate. 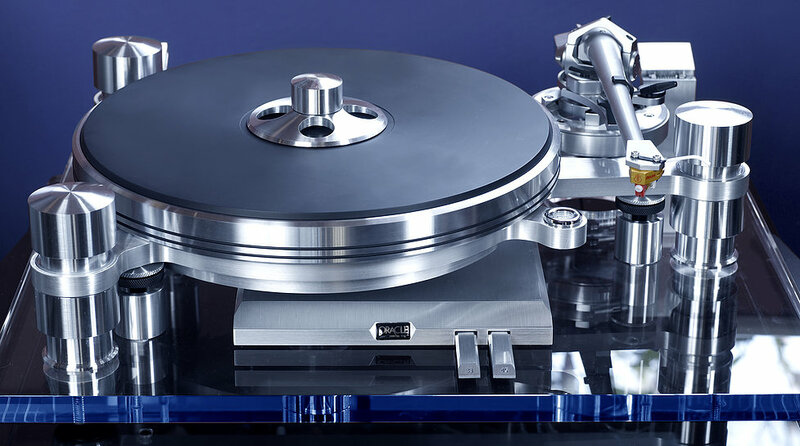 The Technics direct drive turntables have a strong following among the Hi-Fi community and it’s become common to fit a Rega arm using an adapter plate. The Audiomods Technics version of the Micrometer arm has a complete dedicated base that drops straight into the Technics 1210 turntable. Specialising in vinyl replay as we believe the analogue playback system still outperforms the digital formats. 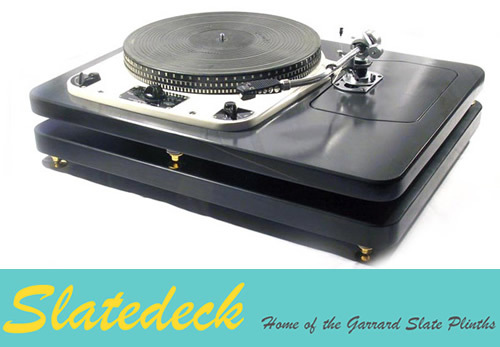 Here you can see an example from our “Slatedeck”© range of Welsh Slate Plinths providing what most would consider the pinnacle of turntable supports for the classic Garrard 301 turntable.